Another oldie that’s been waiting for me to get my act together here. 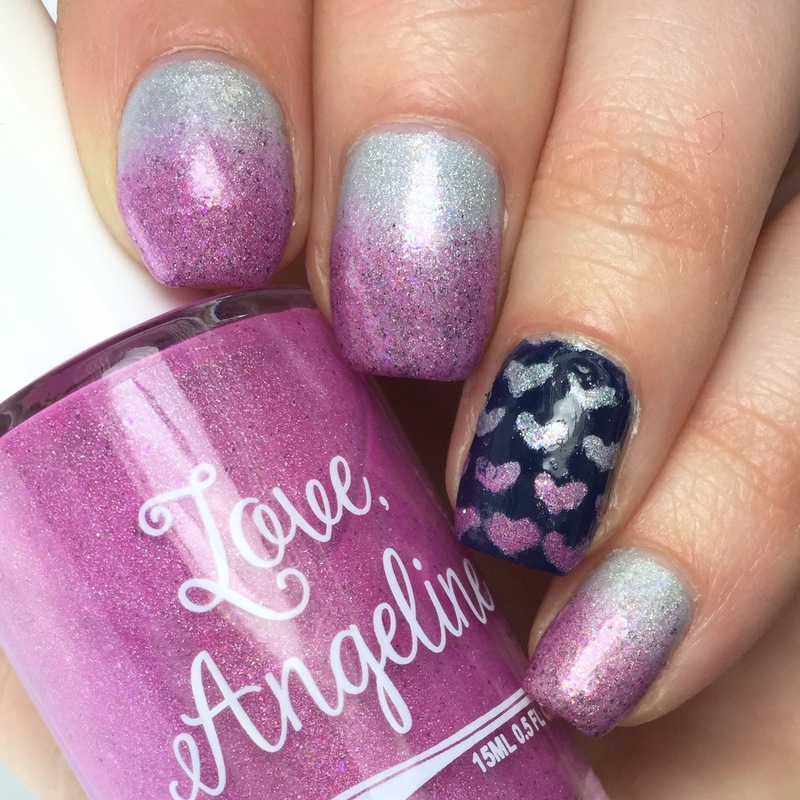 This post is a tribute to Love, Angeline, for the occasion of the brand’s anniversary, back a few months. I posted in on Instagram on time (whew, I’m not a total delinquent yet), but never managed to get the full post made (okay, I am a total delinquent). For this tribute, I used a bunch of Love, Angeline products. I started with a base of “Mystery Holo #1” (reviewed here and here, eons ago) and added a gradient of MH1 and “Surprise!”, since they both had a holo/flakie thing going for them. For the accent, I used a base of Pahlish’s navy crème “Whomping Willow” from the Harry Potter-inspired November Duo (reviewed here). 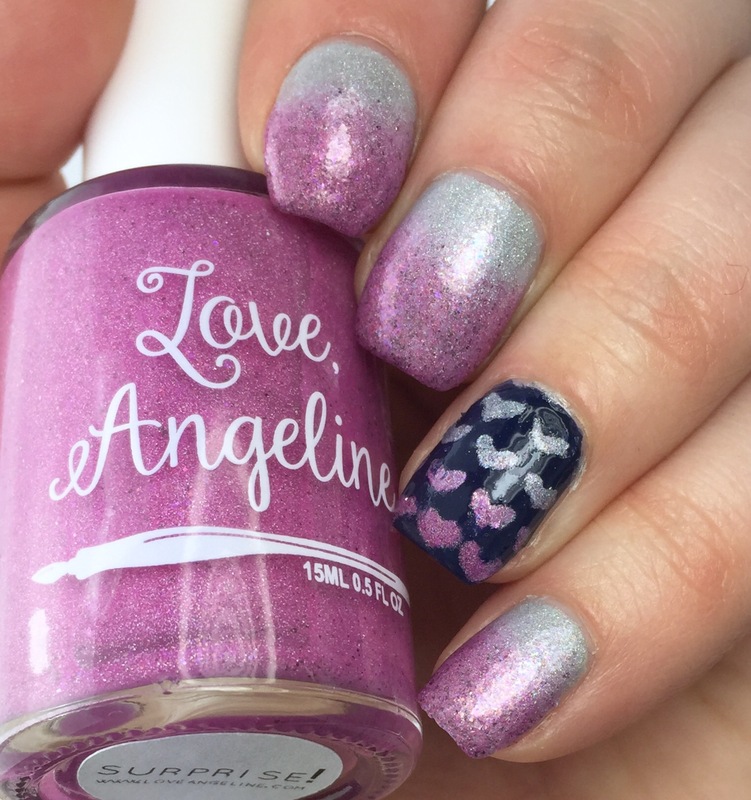 Then, I used Love, Angeline’s “Stuck on Love” vinyl stencils and sponged on gradient hearts (because “Love” Angeline- get it?!). 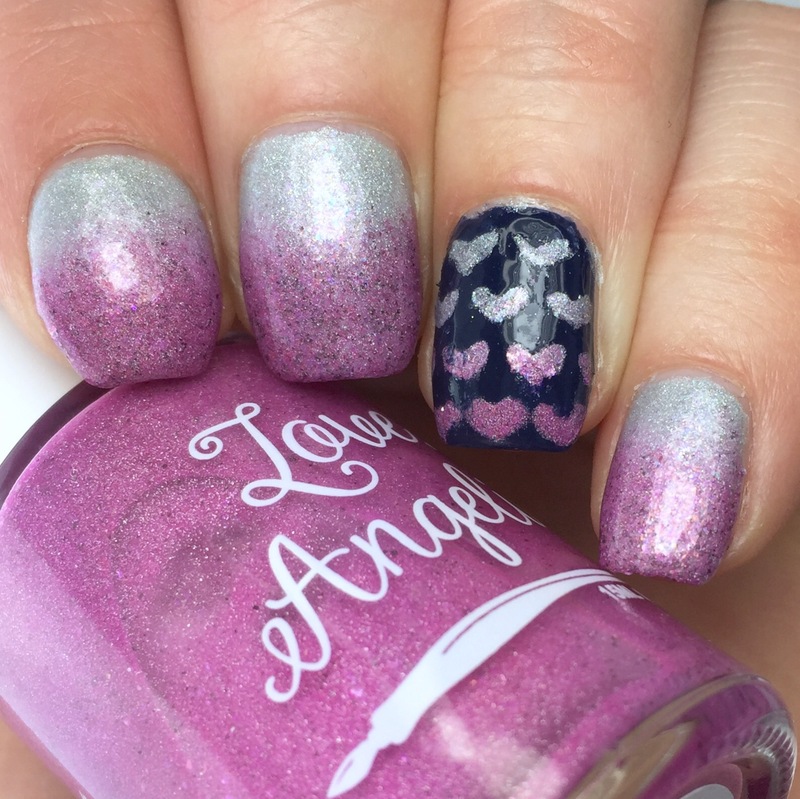 In the end, I was fairly pleased with how the gradients turned out, and that I managed to get the gradient hearts to look somewhat like their fellow nails, despite kind of being the inverse technique-wise.